The Trump Administration published a proposed rule that would fundamentally alter immigrants’ ability to seek permanent residence or secure a green card or visa to remain in the United States. If the rule is finalized and put into effect, it would fundamentally change our country’s approach to immigration by giving greater focus to family income and the potential use of health care, nutrition, and housing programs in decisions about whether people will be allowed to make their lives in America. The rule will limit the ability for immigrants in North Carolina to fully participate in their community, thereby weakening our state now and for the future. The proposed rule will have its largest impact through the chilling effect that will likely reduce a family’s enrollment in essential nutrition assistance, health care, and housing supports for which they are eligible in order to avoid a public charge determination. Nationwide, the Fiscal Policy Institute estimates that 24 million people will be affected by this chilling effect. In North Carolina, the chilling effect could reach 530,000 people who live in a family with non-citizen members and receive one of the income supports identified. While not all would be subject to a public charge determination, it is likely that some portion will be concerned about participation in these programs and would disenroll. These harmful realities will have significant negative effects on the health and well-being of immigrants, and create another barrier for future generations of children to reach their full potential. This BTC Brief provides an overview of the proposed change to the public charge rule, evidence of the harm to well-being, and estimates of the reach of the chilling effect in our state. Current law already limits access to public benefits for immigrants. For more than 100 years, immigrants seeking to obtain lawful immigration status have had to prove to the government that they are not “public charges,” i.e., that they will not be dependent on the government for support. The first concept of public charge appeared in the Immigration Act of 1882 and was often a reason used to deny entry to those seeking to immigrate to the United States until 1940. While the public charge rule was much less likely to be used in the post-war period, it remained on the books. 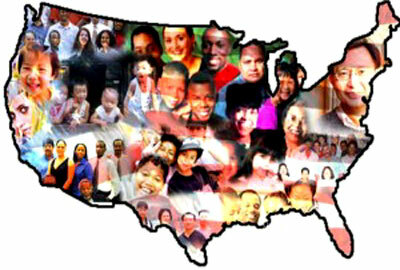 With the passage of welfare reform and a major immigration reform bill in 1996, most individuals with legal permanent resident (LPR) status became ineligible for federal means — tested public benefits for their first five years in the United States, with exceptions such as those who had arrived as refugees and asylees, among others. Receipt of public benefits is not to be the sole factor considered in the determination of public charge. Although many immigrants are not eligible for benefit programs because of strict laws, some lawfully present immigrants are eligible. Those most directly impacted by the proposed Trump Rule would likely be immigrants seeking a green card through family based petitions or those seeking visas. The proposed rule will hurt immigrant families with low incomes and benefit those with higher earnings. The rule will require the Department of Homeland Security to consider whether an immigrant earns at least 125 percent of the Federal Poverty Level, approximately $31,000 annually for a family of four, and will consider it a negative factor against their application if they do not earn that much. Although an immigrant can demonstrate positive factors, such as work history, education, skills, lack of public benefit use, or financial support to show that they should not be deemed a public charge, the mere fact of having a low income will count against them in the analysis. That means that it’s possible that a working person earning a low income could be deemed likely to become a public charge,” even if they have never used any public benefit program….